Changing an organization is often believed to be a difficult endeavor, fraught with challenges and resistance. The much-touted 70% failure rate hangs over our heads and makes taking on a change initiative seem almost futile. So, it may come as a surprise to learn that it’s possible to align and move an organization without enormous effort on your part. As a change agent, you can make a significant impact in your organization by coordinating a few simple things and then getting out of the way. Get people into a room who otherwise would not get together, but who all impact or are impacted by the area of desired improvement. Depending on the scope of the initiative, maybe you need a couple layers of management, or perhaps there are two or more departments that perform pieces of the process in question. By bringing people together, the group will gain a broad perspective, and participants will discover how their jobs impact others. Once you get people together, focus their discussion on the big picture. Start by asking them to define the problem or challenge that needs to be addressed. Invite them to describe a collective vision of what they’d like to achieve. And ask them to define success with specific outcomes. 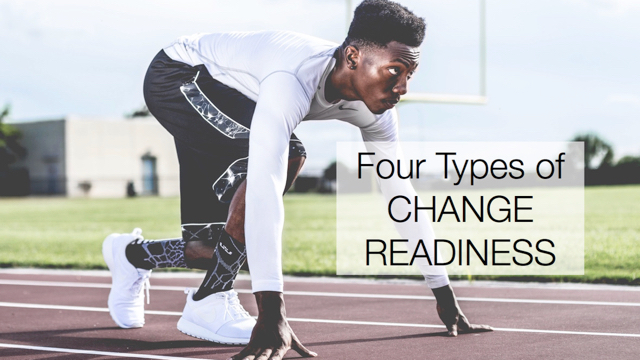 When you involve people in describing these aspects of the change, you gain alignment and increase commitment to getting it done. For each specific outcome, identify one person who is responsible for shepherding results. To ensure clear accountability, only one name should be attached to each outcome. Each outcome owner is responsible for making sure the organization achieves the result. Their job is to involve others, get the support they need, and maintain focus on the effort to ensure progress. To assign responsibility, invite a volunteer or recruit someone who makes sense for each outcome. Those responsible for driving the agreed-upon results usually have other work to do. Follow up regularly so they stay focused on the initiative. Check in to help them be accountable to the results they said they would achieve. Work together to identify and remove obstacles as they are encountered to make sure the initiative continues to move forward. As a change agent, you can implement change by letting everyone else do most of the work. In fact, the less you do, the more others will own the change. If you spend most of your time on your own figuring out how to influence others to change, you’re missing an opportunity to let those who need to change influence themselves. Focus your efforts on enabling others to implement change themselves, and you’ll be surprised how much change you can implement without really trying. Do these activities still sound challenging to coordinate? Good news! The Influence Change at Work™ Toolkit provides exercises that can help you design these activities.